training day is good soley because of his performance and character in that movie. that alone makes him a great actor. john q is only watchable because of him, and he carried american gangster. man on fire was kind of a mess but he carried that too. so really man, his movies are all good mainly because he is in them. didn't he direct dreamcatchers? . Ok to make this post somewhat worthwhile, the local theater is showing Monsters vs. Aliens Wednesday for cheap, thinking about taking the kids I look after to this. I really wanted to see this, did anybody else? Looked really funny. Did you know that Dr. Seuss created that word? It's from his book If I Ran the Zoo. I was very disappointed with it. 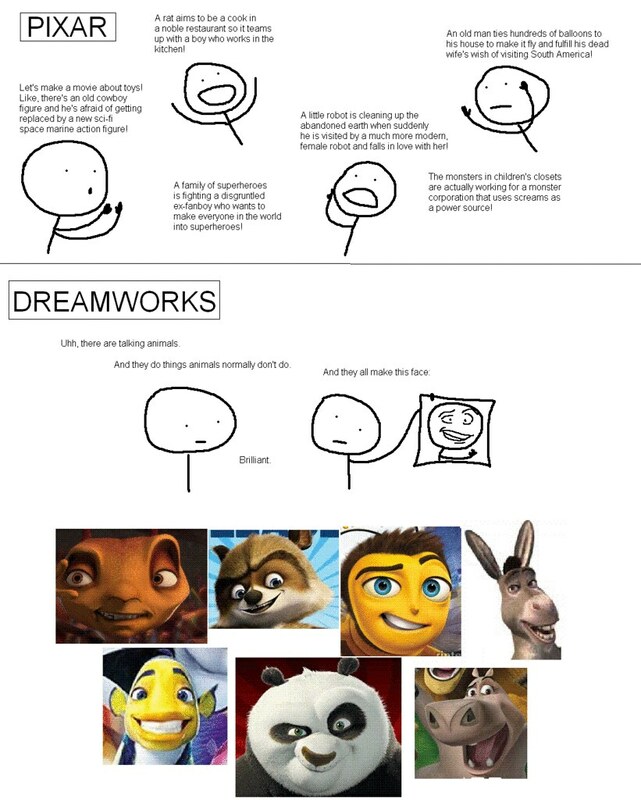 But I'm not much of a Dreamworks animation fan to begin with apart from Ice Age. And Madagascar. I loved those movies. Same here, I really cannot wait for this. This book was like the epitome of my childhood. My grandpa would read it to me every time I saw him. It was great. This and Cloudy With a Chance of Meatballs was another book I LOVED growing up, can't wait for the movie. I hope you meant the original, which came out 4 years before Halloween but doesn't get the credit it deserves. Black Christmas (1974) is one of the creepiest films I have ever seen. Also, it was directed by the same guy who did A Christmas Story. Bob Clark also directed the first 2 Porky's films. Sadly, he along with his son were killed by a drunk driver in 2007. Of course I was talking about the 1974 version. I own about 5 of the one sheets (Silent Night, Evil Night)...one of which I had signed by Olivia Hussey (probably the most beautiful woman in the history of cinema, IMO). You're preaching to the choir when it comes to Black Christmas, believe me. I like to pretend the remake doesn't exist. Good to see someone else knows about Bob Clark's non-Christmas Story accomplishments. Carpenter, for Halloween, definitely stole concepts from Clark. Rumor is that Clark once asked Carpenter to work on a sequel for Black Christmas, and within a couple of years, Halloween was made. That said, Halloween is one of my, if not my favorite movie(s). Clark definitely built the foundation, but the mastery of the POV-shot killer sequence is a house that Carpenter built. Also, the lighting in Halloween is unrivaled, especially for a color horror film. I'm actually a big fan of 70's horror films in general. Suspiria, The Texas Chainsaw Massacre, and Phantasm are a few other favorites. Now for exposing my nerdy side, gweeps. Last edited by Josh.0; 07-07-2009 at 07:43 PM. Same with The Hurt Locker. I just finished downloading most of Argento's work. Looks very interesting. Yeah, Suspiria is definitely an interesting flick, but I loved it. It's pretty slow for a horror film, but that's how I generally like them. I'm dying to find a one sheet for it, I think it's fantastic, but I can't ever come across one for less than $100. watched the majority of The Last Emperor last night but fell asleep for the last 40 minutes. very interesting in terms of 20th century Chinese history, which i had very little knowledge of. but overall the film seemed very fragmented and i lost interest. anyone else seen this? Many times, great film. Just picked up the Criterion Blu-ray not too long ago. Does anyone else agree with me that Michael Clayton is an overrated pile of crap. I've never been so bored watching a movie in my entire life. How Tilda Swinton won and Oscar for that is completely beyond me. 1) She was barely in the movie, and 2) there was absolutely nothing that stood out about her performance. I was shocked she was even nominated.